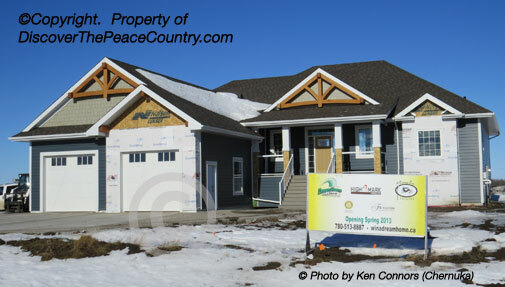 The Dream Home Package will be drawn for including other prizes like a Hot Tub, $5,500 Ultimate Garage Package, Relaxation Package, Patio Set, Treadmill, $1,000 Gift Cards and Photography Package . Outdoor furniture, BBQ, Garden Equipment and Tools. 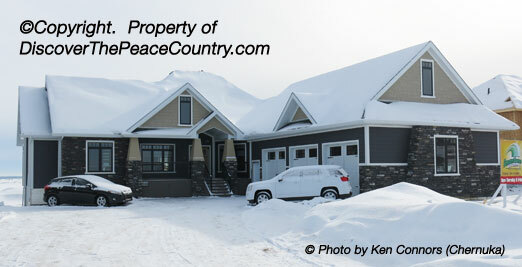 2013 Grande Prairie Dream Home is a 2 Level Bunaglow with 2,121 square feet per level and includes $10,000 of furniture. Besides an attatched 2 car garage, it also has another detached 2 car garage in the back. The city limits sign indicate the boundary of the City as you travel east on 100 Avenue. Next you will see the main entrance to Carriage Lane to the north, but don't use that access, but continue east to the next road north. Take the road north, which is Range Road 54 until you get to Abbey Lane. Turn west or left into the subdivision here and then take the first road north (Lexington Street) north a few blocks until you reach Oxford Road to the east and the Dream Home will be visiible from here.